Release Notes: Hidden GPS Field, Email Style Update, API &amp; Workflow, SSO and More! Release Notes: Hidden GPS Field, Email Style Update, API & Workflow, SSO and More! This is a big release for us. If you are a customer then please read this whole thing. It will be worth your while as we have added a number of enhancements to help streamline your processes even more! Promise! Our customers have been requesting this for some time now. We are so excited to deliver it to you. 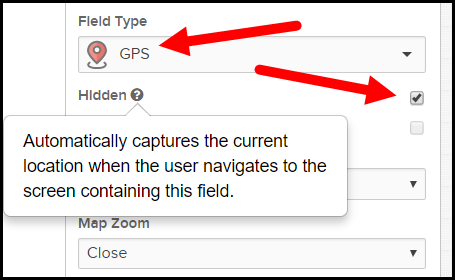 You'll find a new setting on the GPS field inside the App Builder. As soon as the user navigates to the screen with this hidden GPS field on it we will start looking for the location to populate this field. The user can continue filling out fields and does not have to wait until we finish capturing the location. The user can even advance to another screen. The system will still adhere to the settings under the "More" menu however. If you want to create more time for our system to "find" your user then increase the "Timeout(ms)" value to 15000 or 20000. 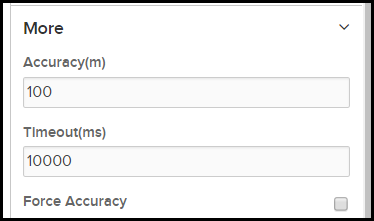 The default is 10 seconds. This field is not "required" however. So if we are not able to capture it within the Timeout period it will not get captured. 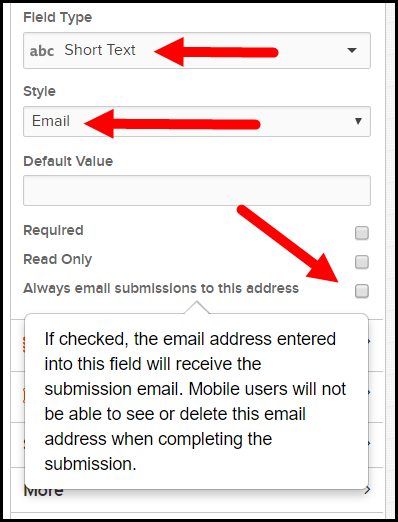 We have added the ability for you to always email the PDF to an email address entered in a Short Text field when the Style is set to "Email". And this will ignore what you have configured in the "Email Options" area. On the Email Options side of things, you can configure them however you wish now. 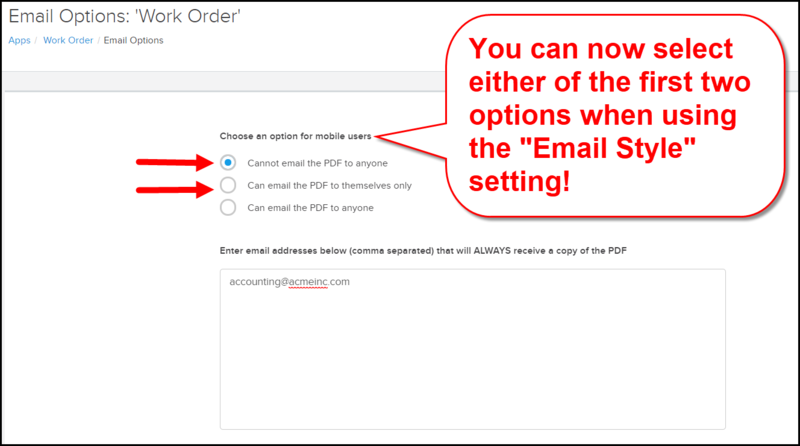 You do NOT have to select "Can email the PDF to anyone" anymore! You can now select the first two options when the checkbox in the App Builder is checked. I know, I know... SO EXCITING!!!! This will really help you route your PDF more precisely and with no concern about your user removing an email address from the recipients list. We have updated our API capability to allow you to pull out information about Submissions that have Workflow enabled. This will allow you to do some reporting on the status of of your Workflows and just have visibility into what is happening out in the field with your Handoffs. Now you can do analysis on how long your processes are taking. Or create a dashboard showing you where everything is at any given moment. You would do this outside of GoCanvas using these new updates to our API. Along with our update to our API for Workflow we also added some Workflow functionality to Zapier. 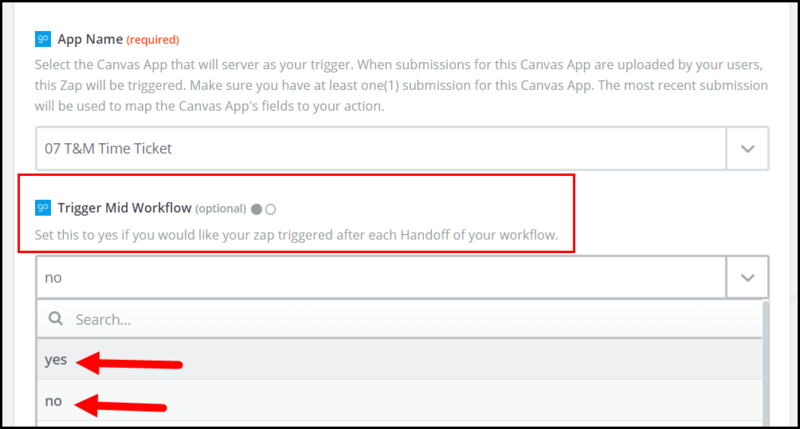 You now have the option for your Trigger to occur at each Handoff during a Workflow. This allows you to send the PDF to someone in the middle of a Workflow, notify someone via email or SMS that a Handoff has occurred, and much more. This enhances your ability to further streamline your processes with GoCanvas and Zapier. New to Zapier? Learn more! If you click on the question mark icon in the left navigation of the App Builder you'll get some Help inside the App Builder. This matches the Help available in the PDF Designer tool and gives you access to key topics. Plus there is a video with chapters that you can click to in order to get the help you need. And you can submit a ticket to our amazing support team if you're really stuck! We have also released the ability for organizations to use Single Sign-On with GoCanvas. This is supported on our website, Android software, and our iOS software. It is coming to our Windows software in a future release. This is a feature that you need to contact us to enable for your account. If you are interested in testing SSO or have technical questions about it, please submit a ticket. We have done a ton of work over the past few months to upgrade the search engine used in our Submissions area. This will dramatically change your ability to find submissions made in the past. This is not quite ready for prime time, but if you're interested in trying it out when we're ready to invite beta testers, please let us know. Send an email to feedback@gocanvas.com. Please let us know what you think! Visit our community to submit or vote for any feature requests. If you have questions you can submit a ticket and we'll get back to you. Thank you for being our customer. GoCanvas Subscribers - Who is Using GoCanvas?